We are thrilled to announce that we had OVER 300 PARTICIPANTS who ran or walked in the 5K. Individual donors also raised a total of $4,552 for this event! We are overwhelmed and beyond thankful for the fantastic turnout and show of support from VBJI volunteers, advocates, and many members of the community who came out to this event, undeterred by 20-degree temperatures! You all helped make the Run 4 Their Lives 5K a huge success! 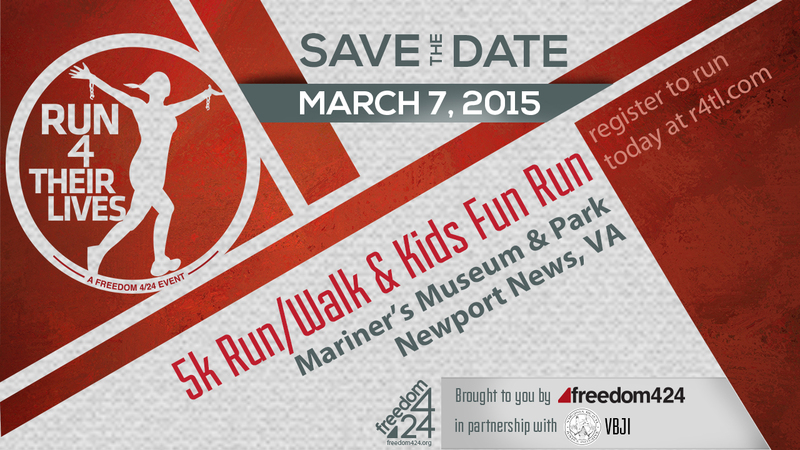 In partnership with Freedom 4/24, Virginia Beach Justice Initiative is hosting our very first Run 4 Their Lives 5K run/walk. This event will raise funds and awareness to help bring healing and restoration to sexually exploited women and children.